Quality begins from the moment we quote your work to the final shipment. 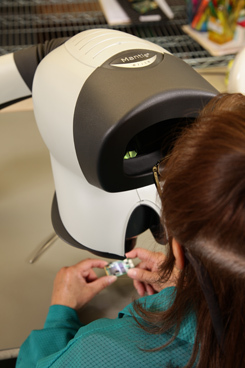 We can also provide a variety of testing and engineering support as required by our customers. All work is inspected to meet your specifications. 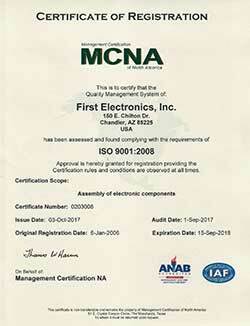 First Electronics, Inc. is an ISO 9001:2008 Certified Company. 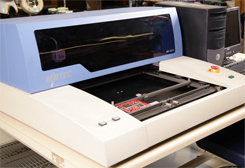 Along with our automated assembly we conform to ANSI/IPC-610 and Mil-STD-2000 certified workmanship standards. We also can comply with any UL requirements.